Since the release of “Rooms With Walls And Windows” in 2014, Byrne collected and wrote stories as she hopped between Pittsburgh, Chicago, Seattle, New Orleans, Northampton, Massachusetts and New York City. The 26-year-old returned to her hometown to record her sophomore album released Friday, Jan. 27 on Ba Da Bing Records. The people who call Western New York home have a fierce determination to persevere. They take a quiet pride in mightily tackling nature in spite of all odds. Their backbones are hardened by winter and their hearts warmed by the hearths of good neighbors. Changing seasons in Buffalo feels like switching between isolation and insulation. The omnipresent overcast nature of six months winter that bleeds into fall and spring calls for introspection and harnessing inspiration. Singing with a weathered, poetic voice and using graceful fingerpicking, Byrne depicts a beautiful scene of a sky and clouds on the opening track, “Follow My Voice.” Contrasting the gentle scratching as her fingers slide across acoustic guitar strings, Byrne’s voice flows effortlessly. 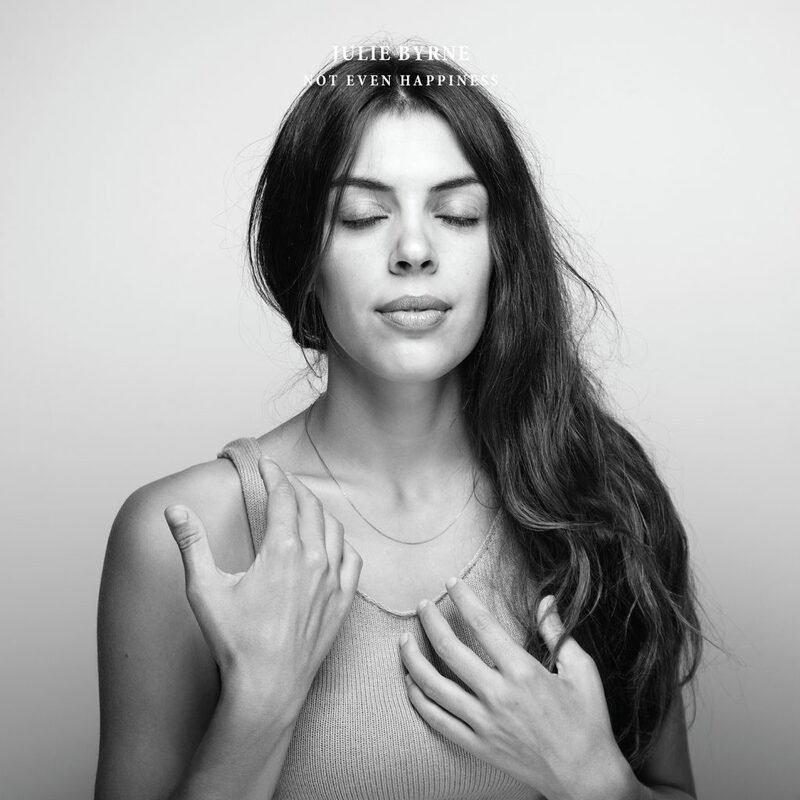 An acoustic guitar doesn’t give one much room to hide behind and Byrne sounds as if she has no fear throughout the songs on “Not Even Happiness.” Byrne’s sense of wonderment creates an overpowering feeling throughout the nine tracks on the album. “Sleepwalker,” is a rambling folk tune about Byrne traversing the country and seeking love in pursuit of her dreams. There is no chorus, just Byrne circling back on the folksy fingerpicking melody as she sings. On the track, She expresses the unique beauty of a moment while describing landscapes such as “Sun split ember, and fields that span, forever.” Byrne previously recorded a version of the song solo for Green Man Sessions in 2014 but the production the album version creates an atmosphere that appropriately captures the intimacy of her songwriting. My favorite track is “All The Land Glimmered,” which seems to showcase her triple-threat talent spectacularly. Byrne harmonizes elegantly as she lays down the perfect melody that follows her directly through a tale of experiencing the warmth of love on a cold, moonlit night. As a self-affirming nod, the last track on the album is “I Live Now As A Singer.” As the most electronic song on the album, Byrne sings slowly as she emotes each syllable over ambient sounds. Byrne’s songwriting is a refreshingly original voice for folk music. As people are more consumed by forms of media, I’m happy there are people like Julie Byrne who make art out based on natural connections. See Julie Byrne Friday, Feb. 24 at SongByrd in Washington, D.C.; supporting VAGABON Saturday, Feb. 25 at Philadelphia Mausoleum of Contemporary Art in Philadelphia, Pennsylvania and Friday, March 31 at Monty Hall in Jersey City, New Jersey. Get “Not Even Happiness” from Bandcamp, Amazon, Apple Music, Google Play, Spotify and Tidal.